H-4 EAD workers are not taking away jobs; they are adding to the job pool by earning more, spending more, and often creating employment opportunities for others. Being on an H-4 visa in America, when you are a qualified professional and own all the skills required to join the workforce, is an extremely isolating and depressing experience. I know it first-hand because I came to America on an H-4 visa soon after my marriage. I was a young lawyer from India, who had completed his law school with flying colors and was practicing law in India. We moved to United States as soon as we got married. My wife found work here and I made the hard decision to come on an H-4 visa even though I knew I won’t be able to work because I wanted to be with my family. I understood that H-4 would restrict me because this was year 1994 – more than two decades before H-4 EAD came into existence. But I was hopeful that sooner or later I would be allowed to work. During this time, I took the bar exam in America, passed it and, well, was still unemployed, as my visa restricted me from working. It took me two years after we filed for the adjustment of status, I could get my green card and work once again. I would say I was still lucky, because back in 1990s this was the amount of time it took to get your adjustment of status and join the work force. Today people that are on H-4 may not be allowed to work at all, as the Trump administration is hell bent on doing away with the H-4 EAD. It will be more than 60 years before they can have the change of status and can work! Doesn’t it sound bizarre? My two years of being a forced househusband taught me very important lessons – a one-income household in America really puts a financial strain on families. Back then, I remember all we would afford in the name of date nights was a once-in-a-month dinner at McDonald’s! This apart, sitting at home also rusts you as a professional. No matter that I spent at least 30 to 40 hours a week in libraries near my house reading and re-reading American history, somewhere I knew that this gap will slow my professional graph. And it applies to all professions. Imagine if you are in the IT industry and are on a version 6.0 and you come back to workforce when everyone is on version 9.0. Imagine how much you would have to catch up on. When I could work again, I had all these fears. So, when I came back to practicing law, I chose to be an immigration lawyer to help several others like me who may be struggling with visas, immigrations and legal hassles, besides dealing with an emotional journey to uproot themselves and make a new country their home. I was lucky to find a great lawyer, Mr. F.S. Halim in Texas, who gave me an opportunity and taught me everything. I admit that I had to work very hard to catch up with the lost time. If I wasn’t forced to put my career on hold, I could have done many things a bit before. Imagine the plight of people on H-4 who have to wait decades before they can be back to work. Haven’t they already lost their prime working age? Would they get the same opportunities that they would earlier on in their career? Targeting H-4-EAD visa holders, in my opinion, is a futile exercise. These are qualified professionals, who want to work hard and contribute to economy. The government would only get to gain more from another 100,000 people paying taxes. When you work, you also spend more – on dining, on shopping, and on holidays, which eventually boosts the economy. How would making a set of people sit at home add to the economy? We must remember that employment creates employment and unemployment creates unemployment. The H-4 EAD workers are not taking away jobs; they are instead adding to the job pool by earning more, spending more, paying more taxes and often creating employment opportunities for others, too. After re-launching my career, I worked with lawyers and eventually set up my own law firm. Today I am happy that I can not only help people through their immigration process, I also am able to provide job prospects for bright, young lawyers. And I certainly believe that many H-4 visa holders who are qualified and hard-working are able to do much more — all they need is a fair chance. 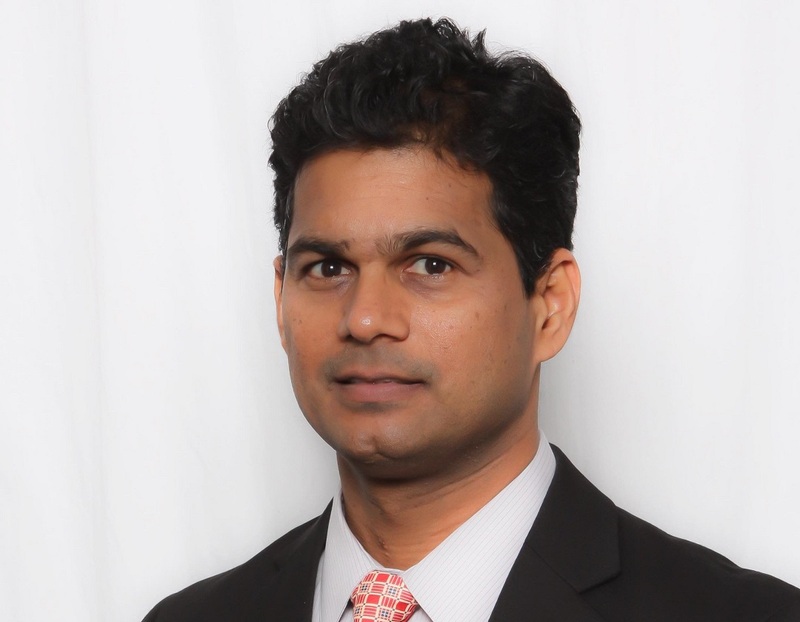 Rahul Reddy, an immigration attorney, is the founding partner of the Texas-based law firm Reddy and Neumann Law Group. He has more than two decades of experience practicing employment-based immigration. A member of American Immigration Lawyers Association since 1995, he has also been a USCIS working committee member. And yet you worked to block l-140 EAD by Obama administrationa and now claiming a high moral ground? Mr Rahul reddy , don’t try to act innocent, you was the main culprit in blocking Obama’s EAD card options for highly skilled. You’re forgetting he is from the infamous Teleganna, FKA Andra Pradesh, from where all the resume fakers, visa fraudsters and job scammers originate. Lying, cheating, bribing, scamming people, corrupting public officials is in their DNA and that is exactly what their people do here in the United States. This guy’s no exception just cuz he’s a “laayar”. Please spread the word to help victims don’t fall for his false claims, avoid using his services. Uneducated response showing complete lack of awareness of the real issues. STOP. I see lot of articles highlighting the plight of H4 visa holders but no one seems to be bothered about TD visa holders (wife or husbands of TN visa holders who are Canadian and Mexican citizens). Despite having similar educational background and experience they are not allowed to work. Their plight is similar to H4 visa holders, living on a tight budget. H4 visa holders have own association and have the support of the best immigration lawyers and even the politicians. Can someone take up the case of TD visa holders as well. I an Indian on an H1B and I can tell you that the H4 EAD visa DOES deplete the job pool for US Citizens. Not just that H4 EAD lack in the skills of communication and technology and have very poor manners. They play a huge part in spoiling the culture of the US workplace and the US culture in general. The H4EAD should be scrapped IMMEDIATELY. This is precisely the issue – every foreign born who seeks employment in the USA illegitimately takes up a job that otherwise could and would have gone to a rightful US citizen. These people who are here on “temporary visas” have no rights, nor should they be allowed to organize, protest, file lawsuits, obtain benefits, etc. when their very status is uncertain. Every visa holder has or will displace a US citizen from the job market. Enough said. So if an H-4 holder is holding a position of employment in the US and I, a US born citizen, am looking for a job, am I to believe that the H-4 holder will step aside so I can have the job? I’m thinking not. Argument false. If an H-4 holder has a job in the US, that person, by definition, takes a job from a citizen. Mr. Reddy, that is really great that you’ve shared your experience with us, especially for people on H4 Visa who are not authorised to work. But I’ve heard that people on H4 can form a company in USA. Although they can’t work actively in the company and cannot even earn personally but still they can employ people and by which other people can get employed too. I hope the information I’ve got was correct. Please correct me if I’m wrong. I like your challenge and achieving your goal. I’m one of your follower.